Portrait of Hamiora Haupapa (Ngati Whakaue) wearing a hei tiki (neck pendant) and hieke (rain cape) which is draped off one shoulder. 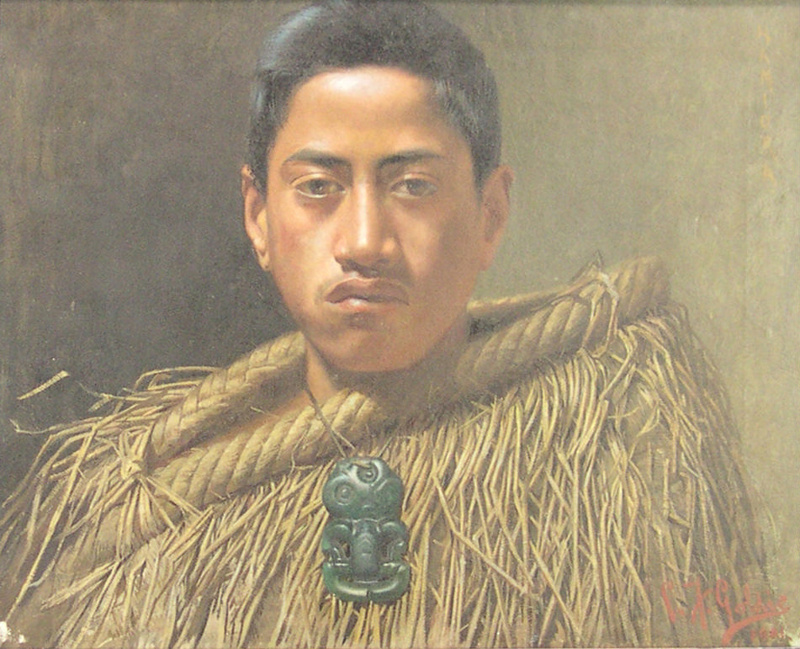 Frontal portrait of Hamiora (Sammy) Haupapa who the artist was introduced to in Rotorua. Other members of Hamiora's family, including his mother, are the subject of other Goldie portraits.